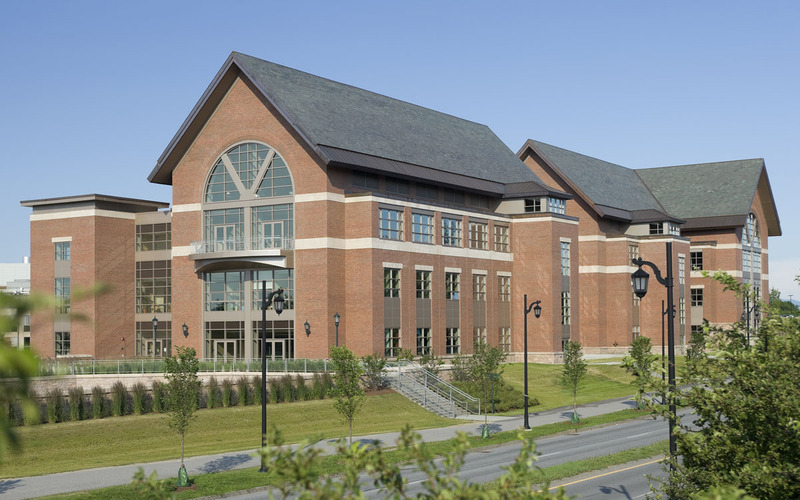 Located at the “campus crossroads”, The Dudley H. Davis Student Center at the University of Vermont provides a key link between the academic and residential campuses. TruexCullins teamed with WTW Architects of Pittsburgh, PA and submitted this winning design for the 200,000 sq.ft. 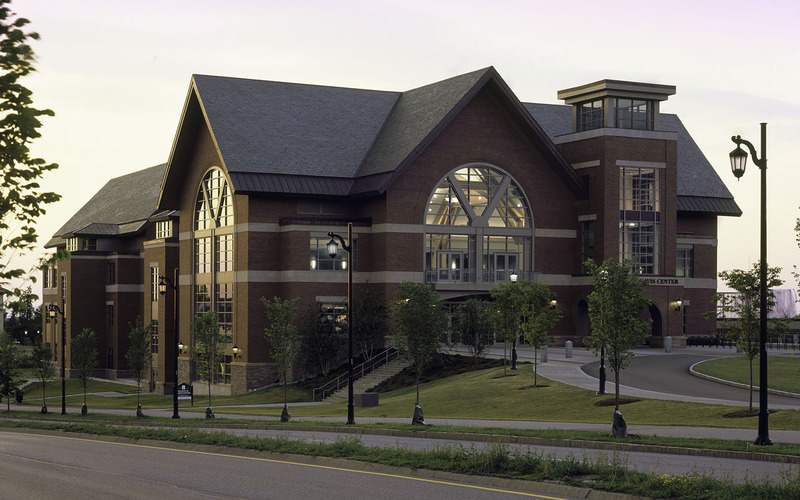 student center. 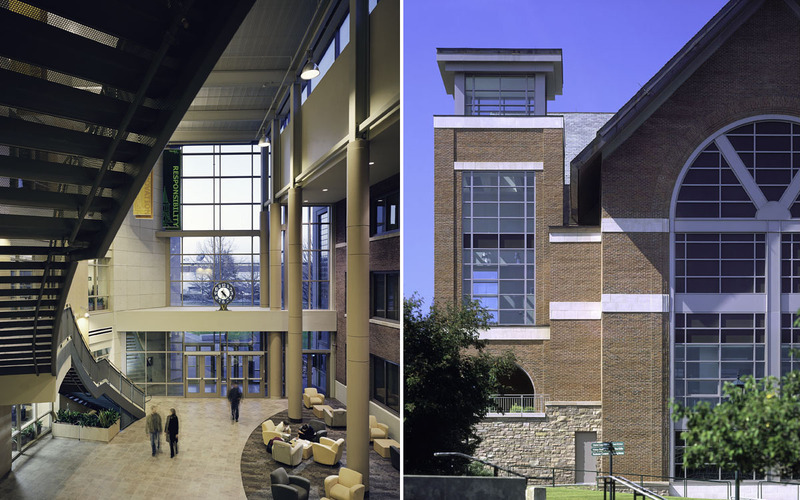 The dynamic facility incorporates multiple student services, including a 200-seat black box theater, a 600-seat performing arts space, dining hall, campus bookstore, conference facilities, and more. 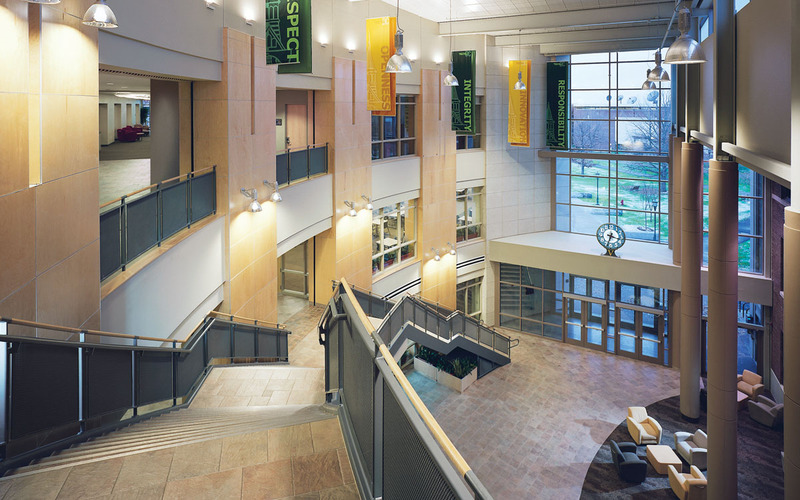 A four-story atrium and an outdoor ellipse is located at the entrance of the building, offering a gateway to the University. 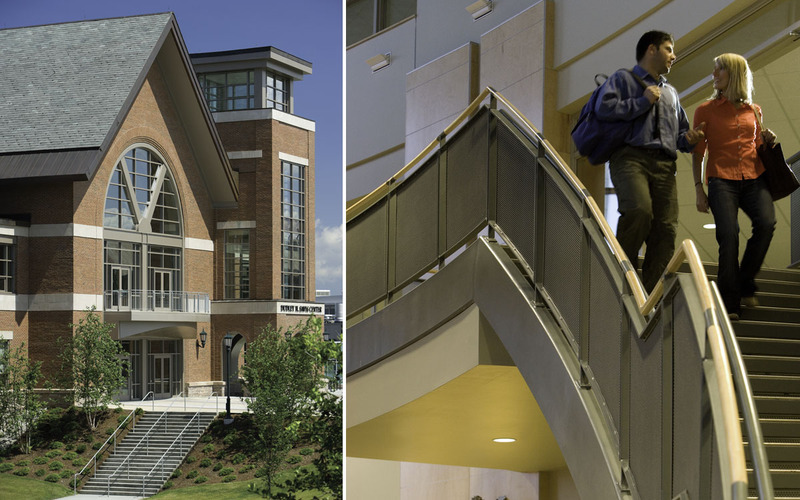 The Davis Center was the first LEED-NC Gold Certified student center in the nation.